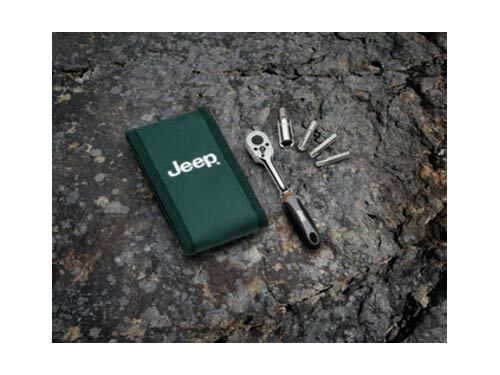 This handy little kit from Mopar contains the most-used tool bits for simple, easy-fix jobs on your JK Wrangler. Quickly remove your Doors, Hard Top, Soft Top, Battery Terminals, and much much more. 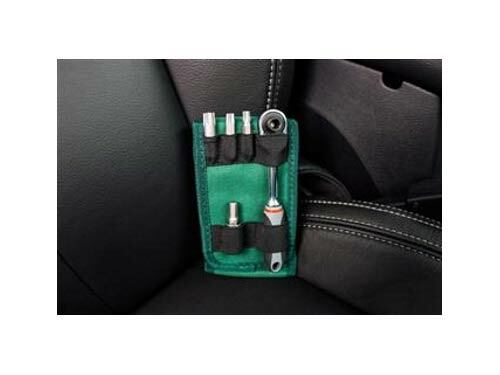 Kit contains a Ratchet, 10mm socket, T30, T40, and T50 Torx Bits along with instructions on how to remove your doors and roof. very handy tool for your jeep purposes. Cant wait to use it . The canvas case is made of durable material to last the lifetime of the Jeep. If you plan on keeping the kit in the vehicle, treating with WD40 is something that will keep the bits from rusting. The ratchet is comfortable in the hand, and has a solid feel. Great product. Everyone should have jeep tools in their jeeps. Compact and easy to use. Was exactly what I expected!